The MTR390 is the class leading technology engine family in the range from 1000 to 1350 kW and with potential to higher shaft output power. 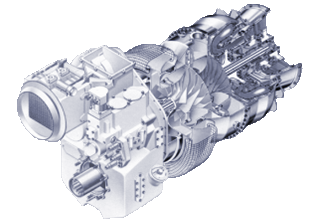 The MTR390 family is the solely engine power unit in the Eurocopter Tiger application, which variants are currently ordered or in service by 4 customers in two continents. The MTR390 engines family uses the most advanced and reliable technologies in materials, design and development techniques, well proven by the MTR/MTRI Partner Companies, MTU, Turbomeca, Rolls-Royce and ITP, along their experience. The MTR390 engines have already proven their excellent capabilities in terms of acceleration and fast response to pilot demands, behaviour in the entire operating envelope, precise monitoring of engine condition and easy maintenance activities due to its simple architecture and modularity. Worldwide support is established by using the existing capacities from our Partner Companies, originally MTU, Turbomeca, Rolls-Royce and now including ITP.